The new funding was provided by Boston-based private equity firm Abry Partners and will be used to scale the platform globally. This morning app-enabled behavior change platform Aduro landed $22 million from Boston-based private equity firm Abry Partners. The startup plans to collaborate with the firm to accelerate growth. Aduro is a wellness platform that teams up with employers and other organizations to motivate members to stay active and healthy. 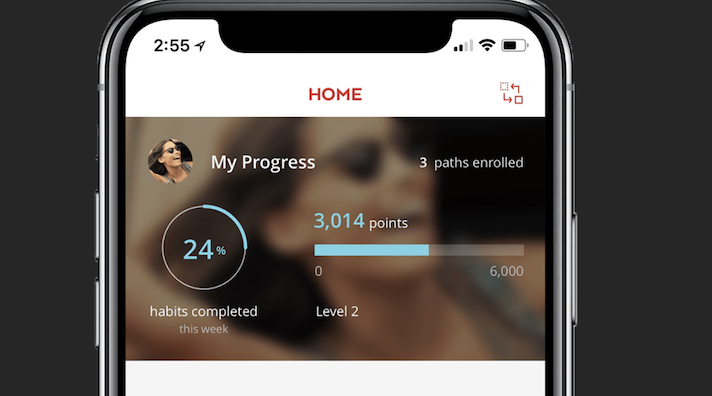 The platform was designed to let users zero in on their personal goals using a science-based human performance approach. The platform takes into account a user’s interests and lets the user engage with self-guided content and tools. Participants can also book coaching appointments and screenings. The platform is able to keep track of metrics and population trends. Right now, the company lists Levi’s and Tivo as some of its big name clients. The new money will be used to help the company scale its product and grow globally. "Aduro has a remarkable track record. No other firm in this industry has grown to ADURO's level organically,” Tyler Wick, a partner at Abry, said in a statement. ”We were struck by their leadership team and their approach to unlocking human potential. Now is the opportunity to deliver their vision at scale." Digital-based employee health and wellness programs have been around for over a decade. A number of insurers have created their own wellness platforms. Some of the big name wearable giants are even getting onboard. Twine health, an employee health and wellness platform, was acquired by Fitibt last February. The acquisition was expected to help Fitbit expand its offerings to health plans, health systems and self-insured employees. Earlier this month Humana announced that it teamed up with Fitbit to offer its members the Fitbit Coach. During that announcement the payer also revealed that it would be partnering with MindSciences, DailyBurn and Noom. "Wellness — as it's been known — is dead," Dr. Darren White, cofounder and CEO of ADURO, said in a statement. "We will continue to rearchitect and reinvigorate this broken, risk-only focused industry. We deliver a holistic, inclusive experience that opens the possibility for anyone to flourish. ... We are thrilled to partner with Abry to leverage their digital health expertise, extensive network and financial prowess as we transform this industry."